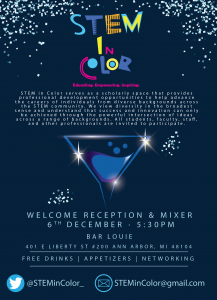 STEM in Color is pleased to invite you to our Welcome Reception and Mixer scheduled for December 6, 2018 from 5:30pm-7:30pm for an opportunity to get to know other members of your STEM community. Food and drinks will be on us. Please let us know of any dietary restrictions you may have. Complete details of this event can be found in the included flyer. 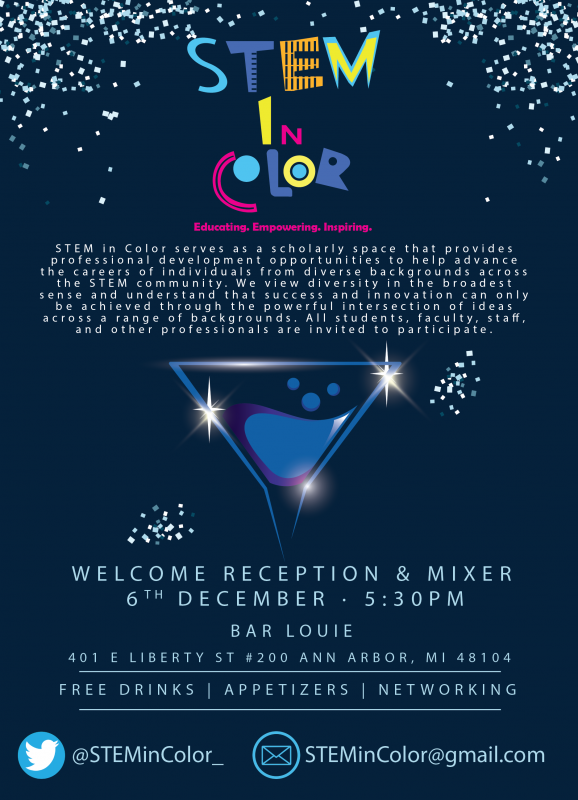 Please RSVP by Wednesday, November 28, 2018 if you are interested in attending by clicking the link below. We hope to see you there!